When did the North Pole move so far south? I've heard that this is what Canada feels like, ey? With each snow storm this winter I'm growing more and more concerned about two things: my car and the roof. 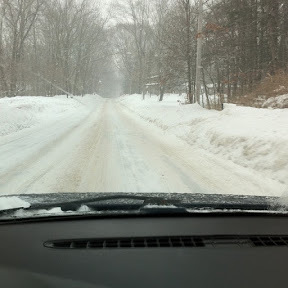 Normally Connecticut winters aren't too harsh... Just enough to remind you of where you live- New England. You can even own a rear wheel drive sports car and be able to drive it 350 out of 365 days. Not this year. So far the guy in my apartment complex with the BMW M3 has driven it a maximum of five days in January. For me, i have all front wheelers. One car has already taken itself out of harms way with radiator problems. So, what are the hazards that the other car faces: flat tires, fender benders, scrapes, scratches, broken tail lights, and mirrors knocked off by plows. 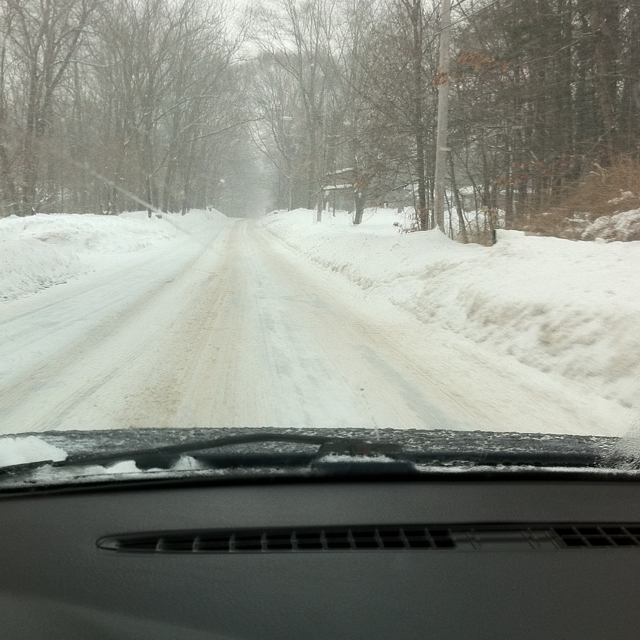 Those slippery roads can cause crashes into poles, buildings, snow banks and other cars. Wow. Makes you want to just thank God for keeping you safe, huh? Unlike bears we cant hibernate through the winter. All you can do is pray, drive safe and watch out for bad drivers. Now up to the roof. 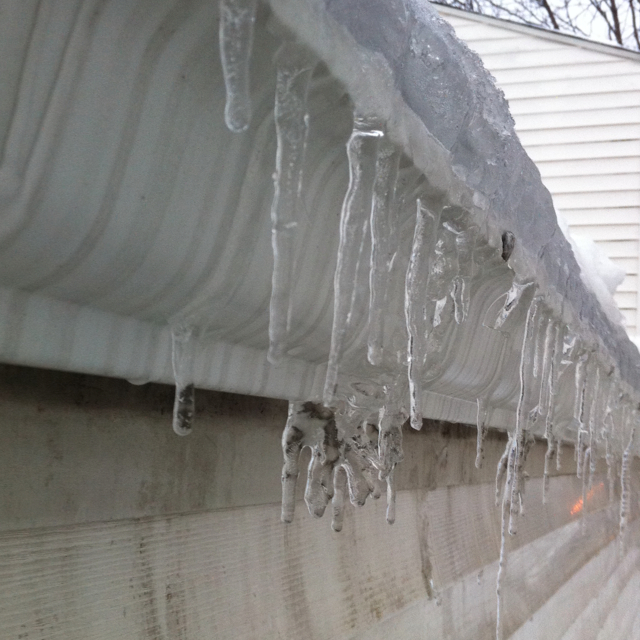 We've had no less than two dozen roof collapses in our state since the winter began. That because there's-no joke- about three feet of snow up on some roofs. Most of it is now being weighed down by a heavy layer of ice. I know this because I was up on my church trying to get all that ice and snow down. 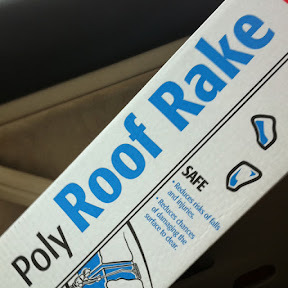 And yes I found a roof rake. After only about a dozen ir so calls to hardware shops in the area I found the jackpot. I somehow missed the first scheduled shipment, but thank God there was another shipment the very next day. The first day the ace hardware shop sold two thousand roof rakes. 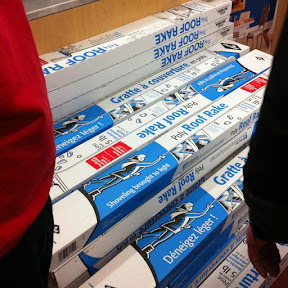 They sold a thousand the next day. It's insane right? They're like the new Tickle me Elmo. My review they work great on snow, but the one I have isn't great on ice. But it is so much safer than try to walk up there. 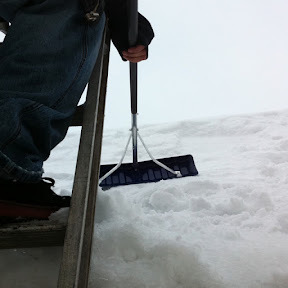 On a side note: this shoveling is a great full-body work out. Let's get in shape New England. And happy Black History Month.